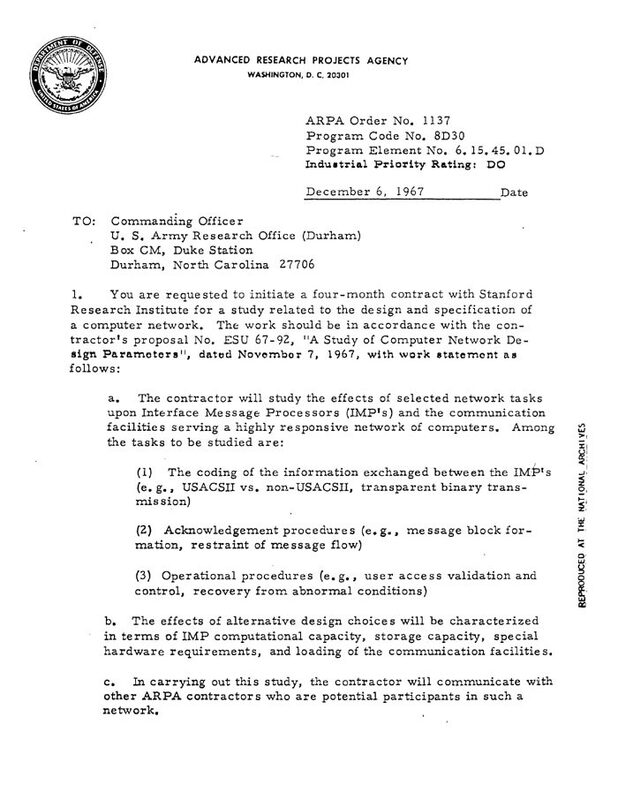 Today in 1967, The United States Department of Defense issued a four-month contract to Stanford Research Institute (SRI) for the purpose of studying the “design and specification of a computer network.” The study will result in the creation of the ARPANET, the forerunner of the Internet. This entry was posted in Computer history, Knowledge compilations, This day in information. Bookmark the permalink.